In memory of my Black Labrador Retriever, Toby, 1998-2010. 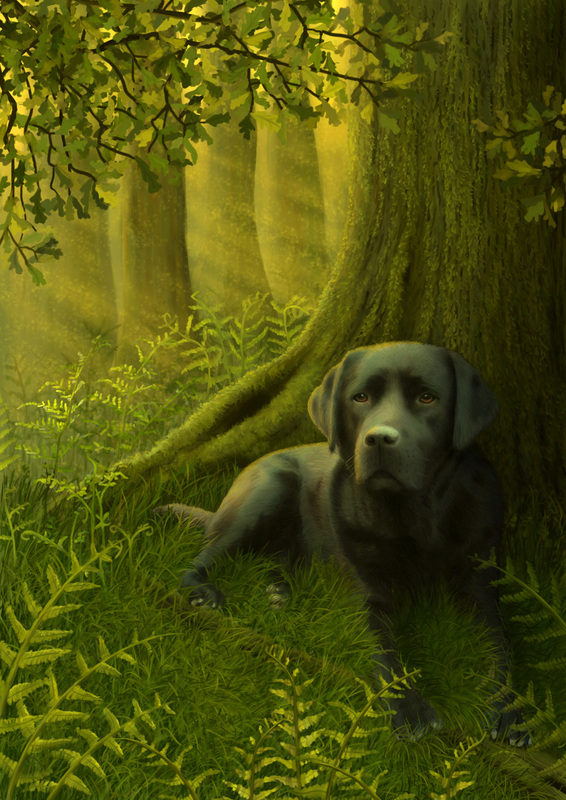 This painting is my goodbye to a very special dog, my one in a million. He was such a wonderful companion over the past 12 years and and was never happier than when out exploring the woods. I will miss him more than words can express, so this painting will have to suffice. Painted in Corel Painter and a Wacom graphics tablet using acrylic brushes and a stump blender. The orginal image is 1768 x 2500 pixels and so is suitable for high resolution printing. Prints of this image are availale at sizes up to A2, printed professionally on archival quality paper for maximum quality and longevity.